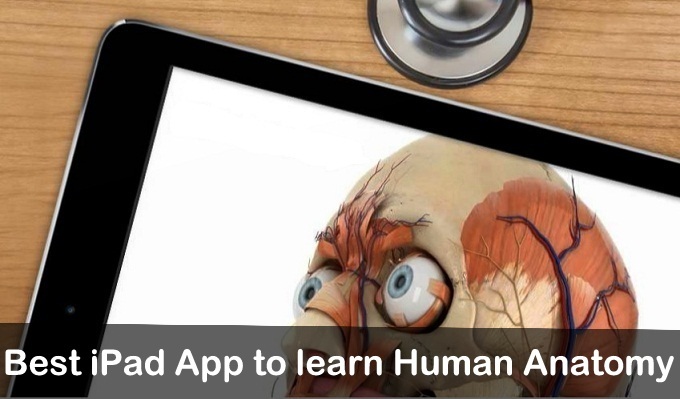 Human body – if you want to know about human body parts and have an Apple iPhone or iPad, then Download here given Best iPad App to learn Human Anatomy. The Apps are informative and give pictures with human body parts name and details. So I recommend digital Applications, it’s really better for doctors, for education purpose, for teachers, and for medical students to save many hours during a study. You may familiar with Human Anatomy is the scientific study of the Morphology (a branch of biology) of the Human body. Human being body is composed of various types of cells. And each part has different – different name so get ready to know the name of the body parts without Paper books. Essential Anatomy 5 is an extremely useful and informative medical reference app for iPad and iPhone. Easy to learn portion the portion of the human body with the picture on bigger than bigger Apple’s iPad tablet. The Application has more than 80,00 structures so monthly 1.1 million user engagements every month. Because according to a report, there is not any medical university or Hospital globally that does use essential Anatomy or human skeleton. Best iPad App to learn Human Anatomy involved Essential Anatomy 5 – it’s easy to learn and understand with high-quality 3D photographs. 3D4medical claims that the app is number 1 top grossing app in the world and mostly in 118 countries. The App has flagship features such as clear content so useful for medical professor and students, quality and clear vision; the graphics are very excellent of entire anatomy app. There are many other best Human Anatomy App for iPad and iPhone listed below.